In this narrative essay, a third grader tells about a scare with a pet. I got a puppy for my birthday. My puppy is black, it’s a boy. It sleep’s on a little rug. One time he ran under the couch. we didn’t know that until I found him. He was scared. Then it was time for school. I didn’t want to go. My Lost Puppy by Thoughtful Learning is licensed under a Creative Commons Attribution-NonCommercial-ShareAlike 4.0 International License. 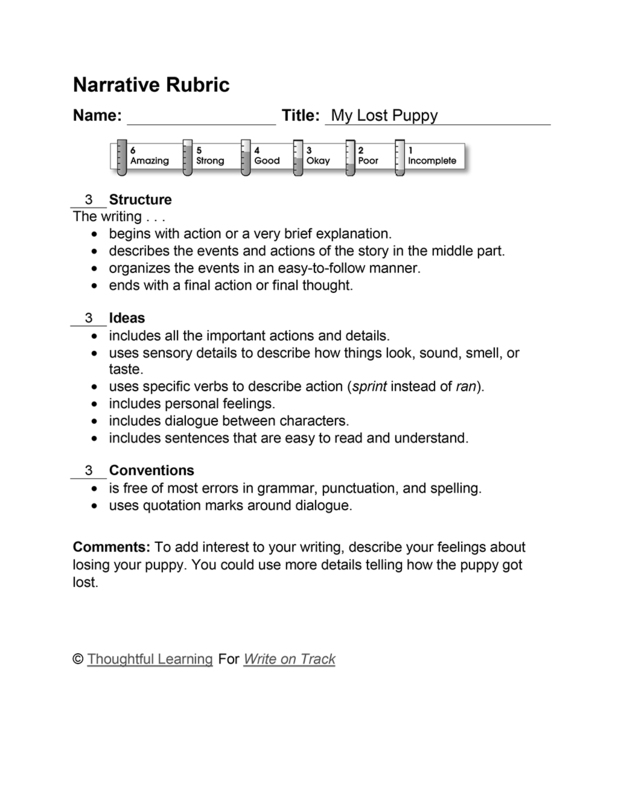 Based on a work at k12.thoughtfullearning.com/assessmentmodels/my-lost-puppy.